Some people use the term legally blind to describe their vision without eyeglasses or contact lenses if their uncorrected refractive error makes them feel visually disabled (unable to drive a car, for example). Others assume it means the same thing as total blindness (complete lack of form and light perception). 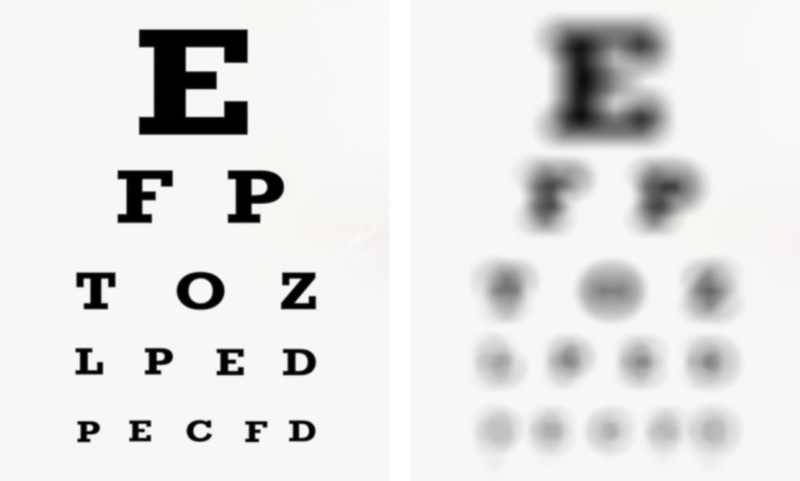 A comprehensive eye exam will help to determine if you are considered legally blind. Reduced central visual acuity of 20/200 or less in your better eye with use of the best eyeglass lens or contacts to correct your eyesight. A visual field that is limited to no more than 20 degrees. As long as your vision can be corrected to better than 20/200 with glasses or contacts, you are not considered legally blind. Also, if your best corrected vision in one eye is worse than 20/200, but you can see better than 20/200 with corrective lenses with your other eye, you are not considered legally blind. The Social Security Administration provides benefits for the legally blind, and there are federal and state tax deductions, as well. There also is a variety of non-governmental resources aimed at making it easier to lead a normal life despite severe vision impairment. If you are legally blind you should look for an eye doctor who specializes in low vision. Low vision specialists typically are familiar with the latest vision aids such as magnifiers, telescopes and digital devices that can help legally blind individuals use their remaining vision as effectively as possible. Such devices often enable a person with legal blindness live more independently. For more information on legal blindness please visit AllAboutVision.com.